Now NOC uses new design of the emblem and flag. (Photo at the NPC official site). The National Olympic Committee of Ukraine was founded on 22 December 1990, 8 months before the Ukraine became independent from the Soviet Union. It was first recognised by the IOC in 1993. [These years are different from our NOC lists. Does anyone know the trustworthiness of their source, whatever it was?] In between, at Barcelona 1992, Ukraine participated as part of the Unified Team. The emblem of the Ukraine NOC consists of the Tryzub shield, with above it in blue the Olympic Symbol and around all other sides an arc of text in black. I expect the texts reads "National Olympic Committee Ukraine", in Ukrainian, written in Cyrillic characters, but I would appreciate if someone else would take a look at these. The National Olympic Committee of Ukraine has a website, where we can read that it unites 40 sports federations. The flag of National Paralympic Committee of Ukraine is white with logo. 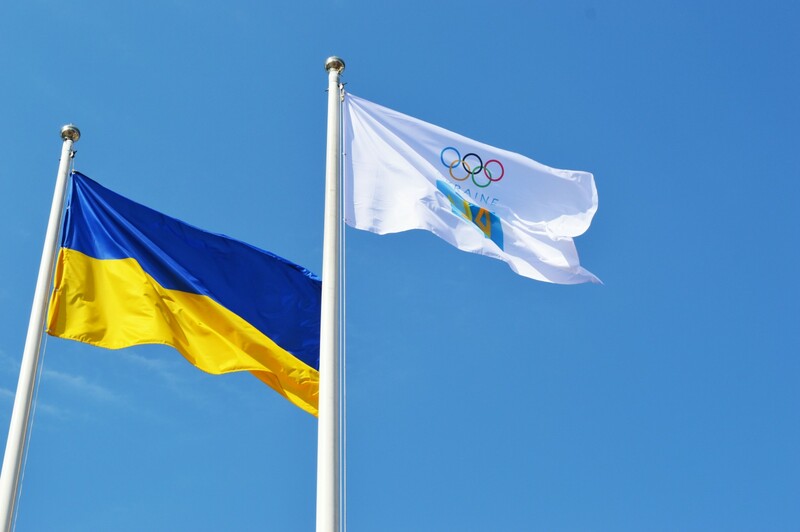 The flag of Ukraine Olympic Academy is white with logo. "The Олімпійська Академія України, ОАУ (English: Olympic Academy Ukraine, OAU) was established on September 20, 1991, in accordance with the decision of the First session of the OA of Ukraine in accordance with the recommendations of the International Olympic Committee to promote the development and strengthening of the Olympic movement in our country, the spiritual enrichment of people, the spread of the exchange of values of national culture under the sign of ideas and principles. 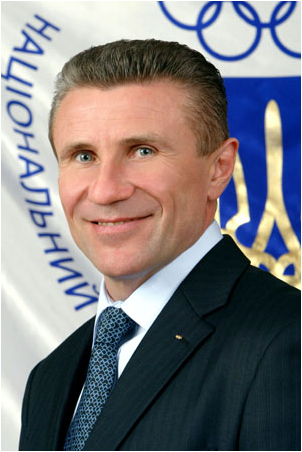 Olympism OAU is an independent public organization and operates under the auspices of the NOC of Ukraine."